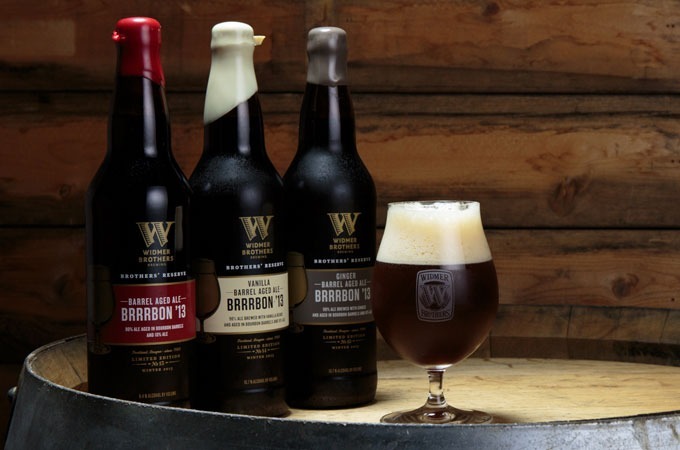 Barrel-Aged Brrrbon is a spin on Widmer Brothers’ popular winter beer, Brrr Seasonal Ale. 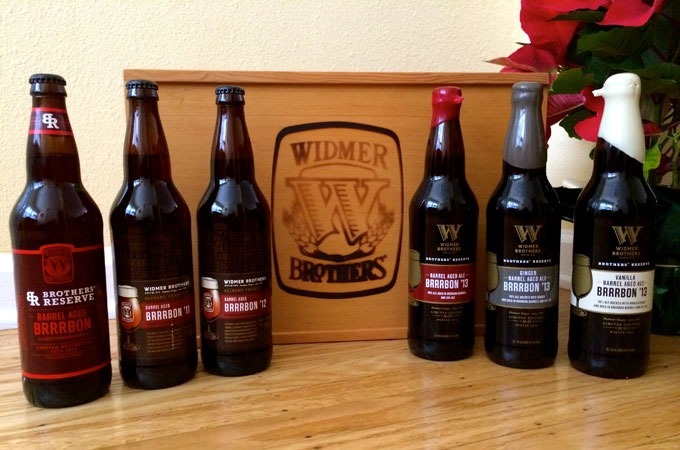 Since 2010, the Widmer Brothers brewing team has brewed an imperial version of Brrr Seasonal Ale reserved specifically for this release. The beer is aged in Kentucky Bourbon barrels for several months, which gives this special release a pronounced bourbon character, with vanilla and oak flavors and aromas that complement the hoppy northwest style red ale. For the two new variations, which were first brewed in 2012 as experimental releases, the brewing team added fresh chopped ginger to a select few barrels to make Ginger Barrel-Aged Brrrbon, and fresh whole vanilla beans to a few select barrels to make Vanilla Barrel-Aged Brrrbon.